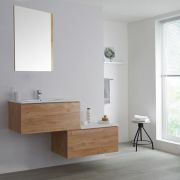 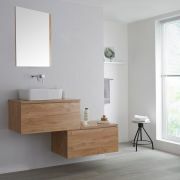 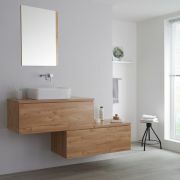 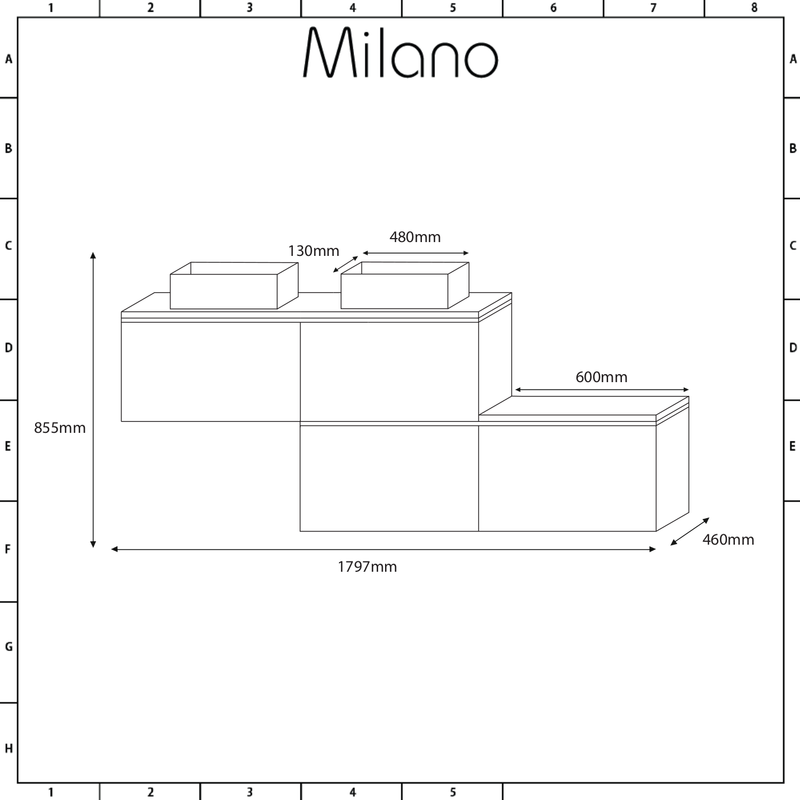 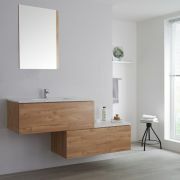 Bring a designer style to your bathroom with the wall-mounted Milano Oxley 1800mm stepped vanity unit and matching basins. 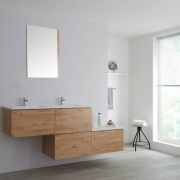 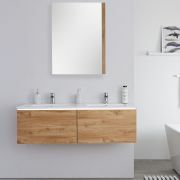 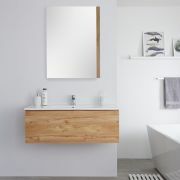 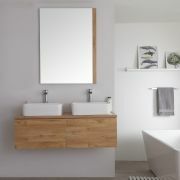 Boasting four large push to open soft close drawers to effectively store your bathroom accessories and beauty products as well as a countertop, the Oxley vanity basin blends practicality with a contemporary look. 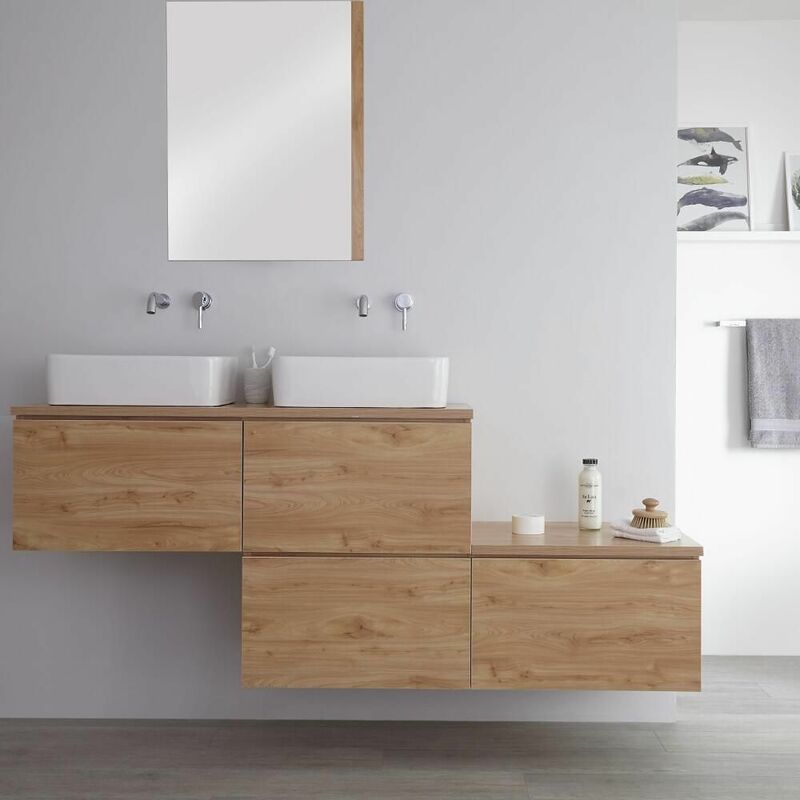 Made from moisture resistant engineered wood for long-lasting durability and robustness, the stylish look is completed with a golden oak woodgrain finish. 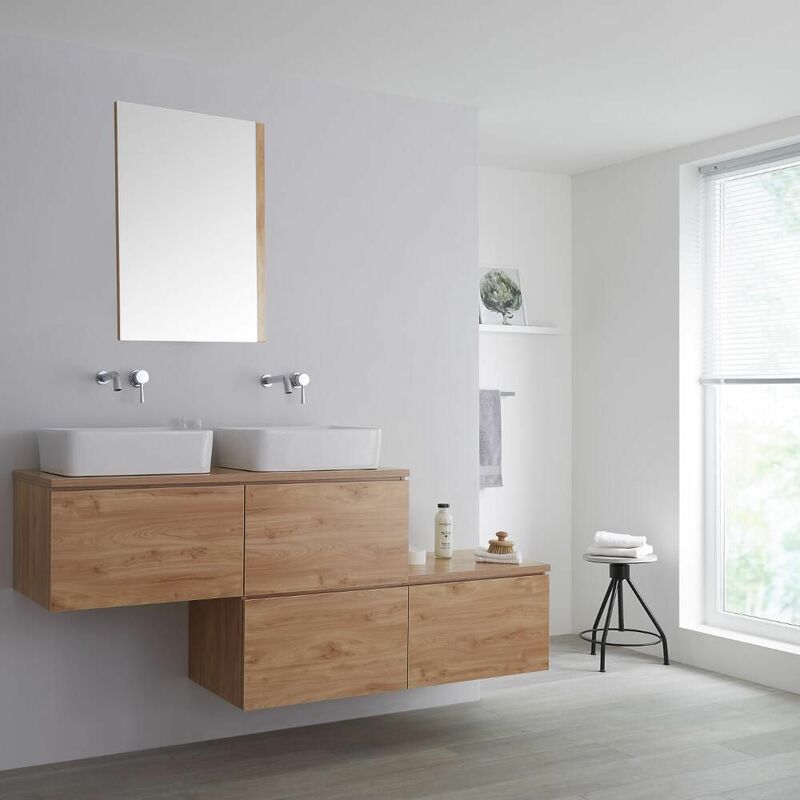 The crowning glory of the vanity unit are the matching rectangular countertop basins to effectively create a ‘his-and-hers’ look. 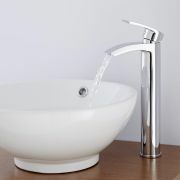 Made from white glaze finished high quality ceramic, the basins do not include tap-holes and so can be paired with any of our wall-mounted or high-rise taps.